The eye a camera , the body of a text, the ears of a stranger : Reaching out and touching the bare skeleton of an urbanism packed with stories that are buried, sunk into oblivion. 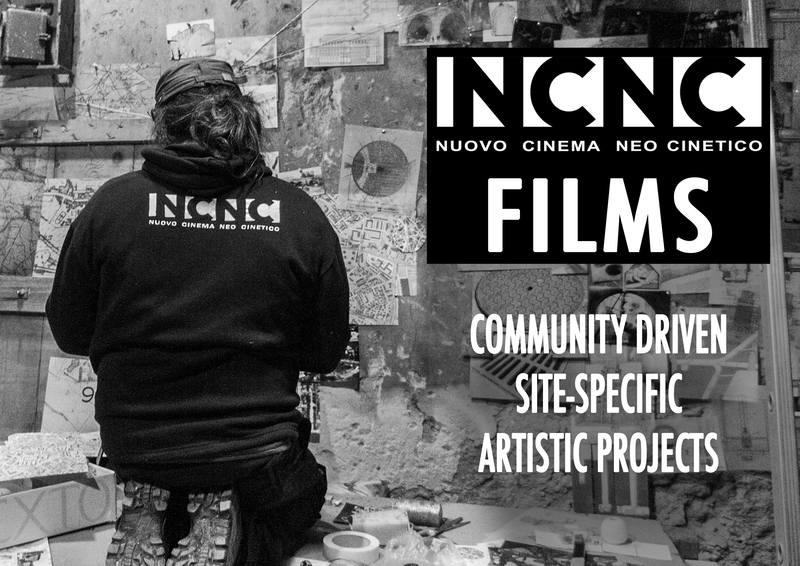 Since 2009 we have been creating unique and itinerant films which belong to a new cinematic genre: NCNC (Nuovo Cinema Neo Cinetico). Each one of these films is the result of four months of work, out of which 4 weeks take place on-site, within the community, in the designated neighbourhood or village. Each film is conceived and created on-site, permeable and susceptible to everything in the territory it takes place in: its geography, its history, its stories, its architecture… and its residents. All the films are created using the same methodology yet each one is genuinely unique and tells a totally different story, with a different plot and characters, and has a exclusive soundtrack that is specifically created for it. 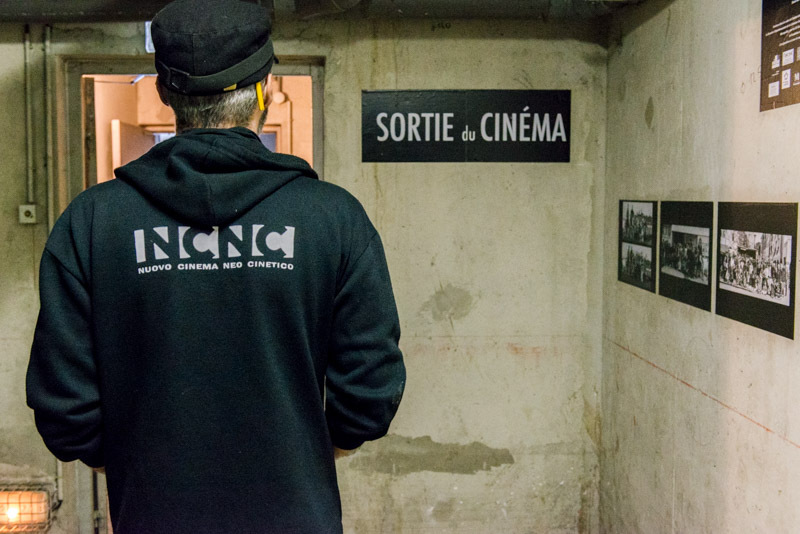 NCNC movies without a video or celluloid camera, with no reel and no screening hall ! Artistic director : Prisca Villa. Co-writter : Gary Shochat, Prisca Villa. Sound director : Gary Shochat. Projectionists : Christophe Nozeran ou Alberto Carreño. Builder and machinist : Laurent Driss. > Aid for writing : Auteurs d’Espace Public- SACD, CNAR Le Citron Jaune, Le Lieu Noir, Baule d’air, Label Rue, Préavis de Désordre Urbain. > Aid for the production : DGCA-Ministère de la Culture. > Co-production : Derrière le Hublot-pôle des arts de la rue Capdenac-Midi-Pyrénées, Harri Xuri-SIVOM Artzamendi. > With the support of : Réseau en Scène. > Special thanks : Formation Avancée et Itinérante pour les Arts de la Rue.